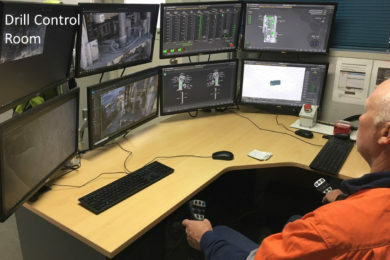 After months of preparation, Anglo American’s metallurgical coal business in Australia has drilled a hole at its Dawson mine using a machine remotely operated by a controller some 4 km away. The overburden (OD14) semi-autonomous drill is the first in the business’ fleet to be fitted with this capability, Anglo said. “This is a significant step towards Future Smart Mining™ at Metallurgical Coal,” Matt Graham, Anglo American’s Principal, Open Cut Technology and Automation, said. The introduction of the semi-autonomous drill brings a number of benefits, including safety improvements, increased productivity, and a reduction in shift change times, according to Anglo. This is especially relevant somewhere like Dawson where the operation spreads across 50 km. The project team received guidance from colleagues in other parts of Anglo including its copper business in Chile and Kumba Iron Ore in South Africa. There are 12 drills currently in use across the group, Anglo said. 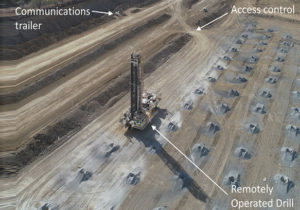 “They worked with electrical control system supplier, FLANDERS, and Dawson’s maintenance and engineering team to upgrade the drill system’s on-board computer, sensors, and new safety devices,” Anglo said, adding the information management team also upgraded the mine’s Wi-Fi network to ensure connectivity. Dieter Haage, Head of Mine Modernisation on Anglo’s technical and sustainability team, said applying technology in this way is “how we modernise our approach, and the Dawson mine has taken an important first step on this journey”. Work will continue on the OD14 while the team focuses on automating the drill rod changing process, Anglo said. Once this is complete, the team will explore opportunities to upgrade other drills in the metallurgical coal fleet.